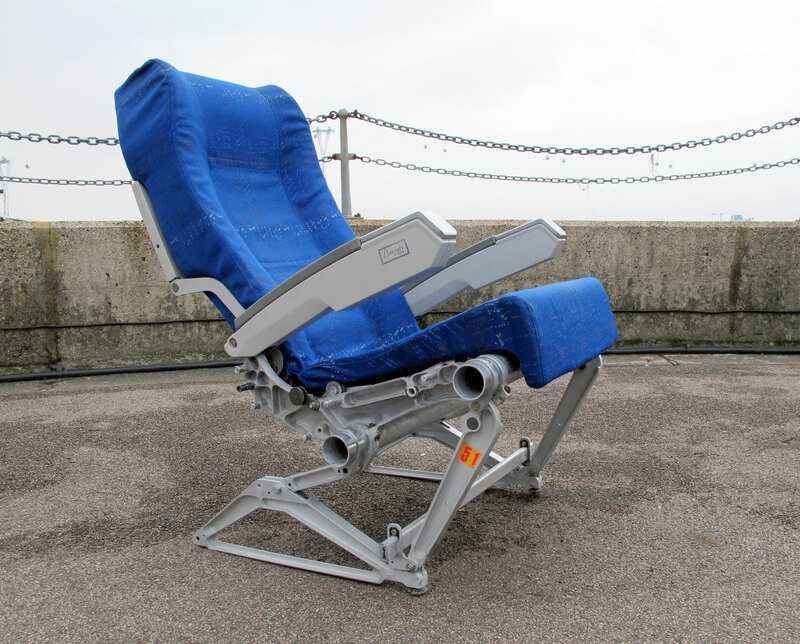 Stylish swept-back chair made from the Simca Aeroseat from an Airbus A320. 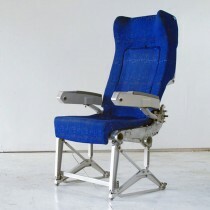 Swept back airline chair. 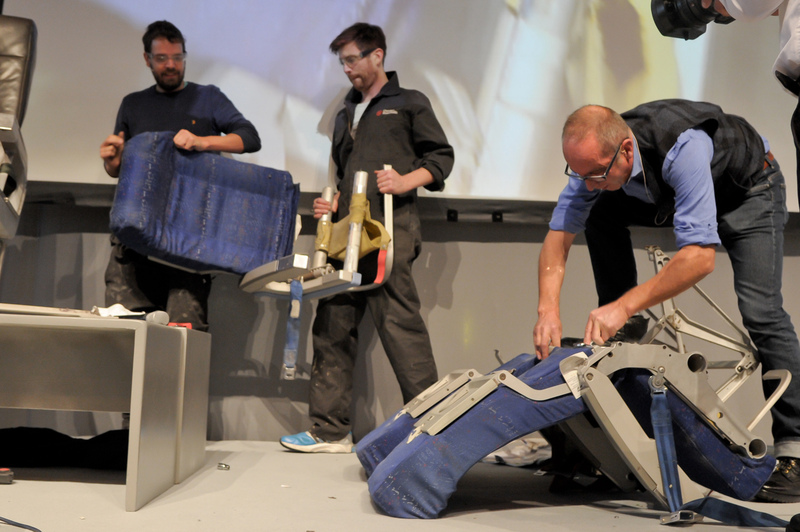 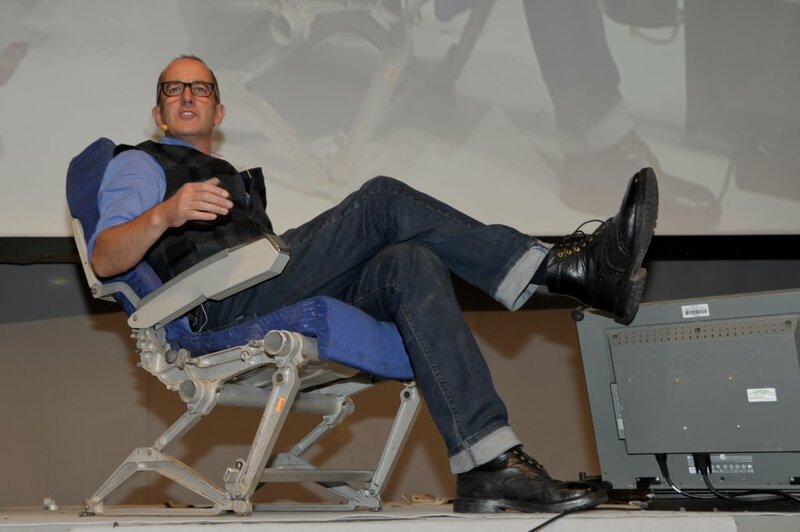 A supremely comfortable chair made from an Airbus A320 airline seat. 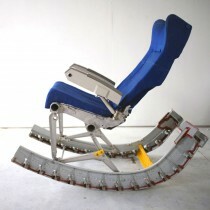 The legs of the chair have been re-configured making an elegant and relaxing chair. 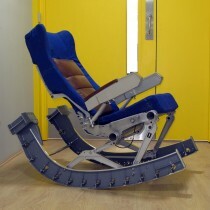 This chair is one of three. 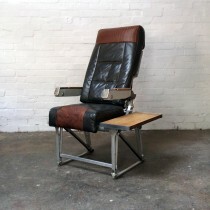 Two were made and sold with Kevin McCloud at Grand Designs Live Birmingham last year. 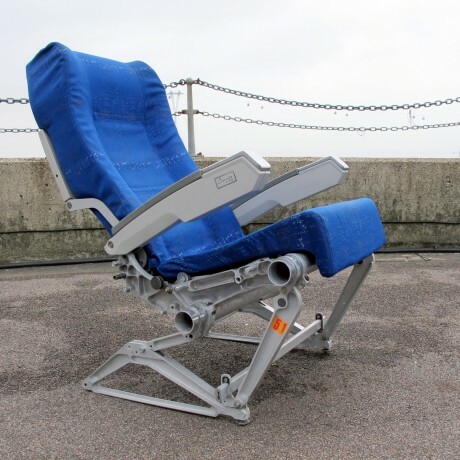 Be the first to review “Easy Chair” Click here to cancel reply.